Reisekostenabrechnung is an user-friendly and powerful program for all people who have to travel in their job and who are employed in Germany. This software manages all your business trips, expenses, allowances for travels in Germany and abroad. You can enter all the expenses you had on the journey, divided into special categories. The software calculates the daily allowances and takes care of all the deductions to be made according to the German Government regulations. All the data regarding allowances since 1999 is in the program. This software creates reports for accounting as an overview and as itemized list. 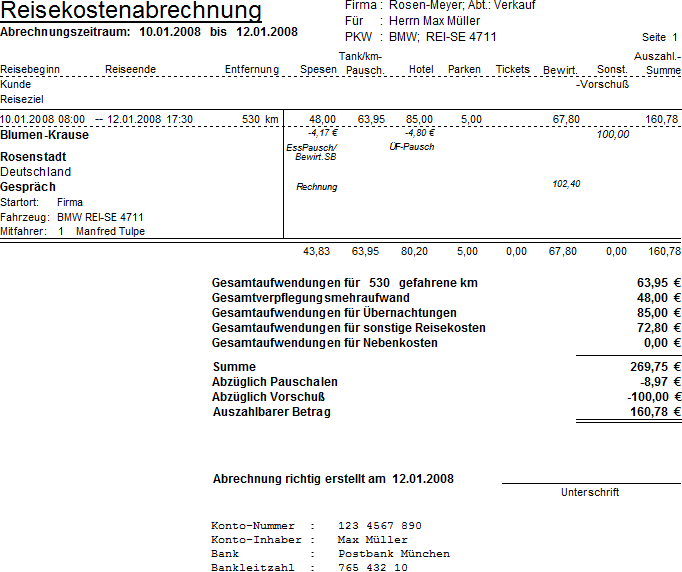 Since this software applies to German law, the user interface is written entirely in German language.